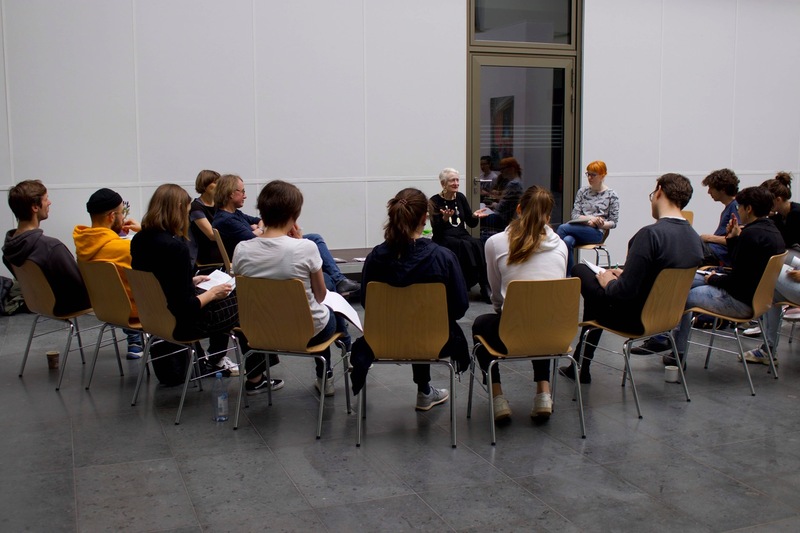 One of them is Mieke Bal, who highlighted right at the beginning of her lecture the importance of (artistic) practice for her work. Having an extensive academic background herself, Bal found her way to the world of video art and filmmaking. 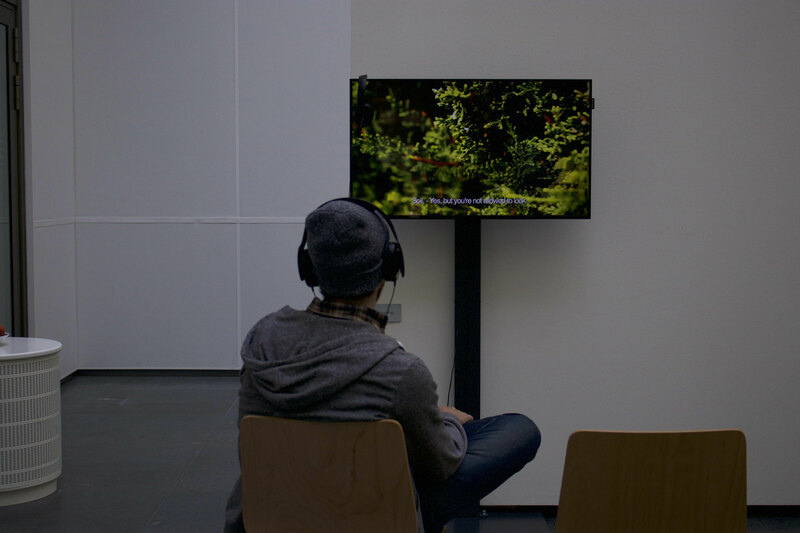 By engaging in what she calls practice as analysis, she has produced several video installations and feature films related to her academic (and non-academic) interest. 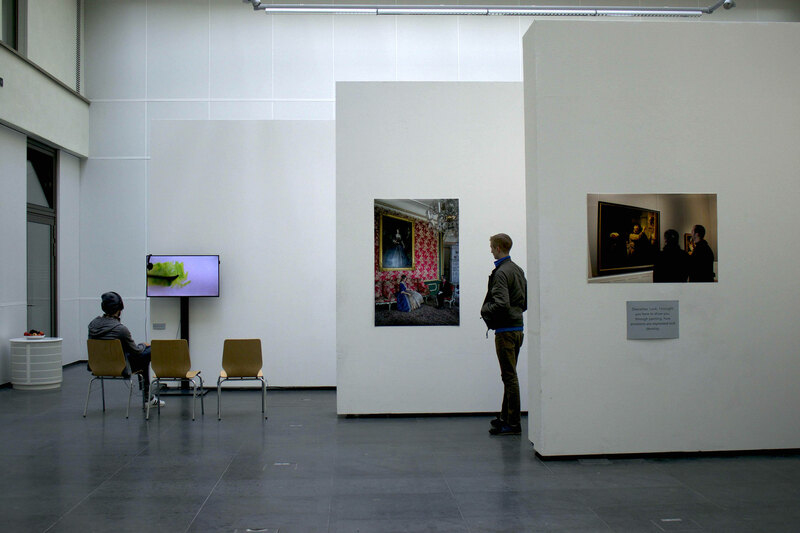 Reasonable Doubt (2016), written and directed by Mieke Bal, is a five-channel video installation, as well as a feature film that circles around the intellectual correspondence and encounter between French philosopher René Descartes and Kristina, Queen of Sweden. 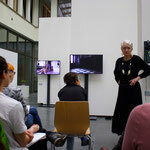 In her lecture on Thinking in Film Bal directly referred to the video piece as an example for a practical approach to theoretical and historical thinking with the process of filmmaking as a powerful research method. thoughts by adding fictional aspects. In her filmic work Bal uses a similar approach on the historical topics she works on by underpinning them with her own and other’s imagination. 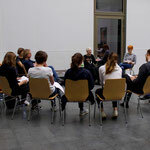 Bal has pointed out that this process of working is performative, collective, social and even reflectively anachronistic.2 For academics used to the solitary work behind the desk, filmmaking adds a strong collective momentum to the development of a piece. Depending on the degree of effort or professionalization, even video installations can include a wide range of people contributing practically and intellectually to a piece: actors, directors of photography, scenographers etc. Working with people outside of the academic bubble has great advantages compared to the lonely working processes of most scholars. 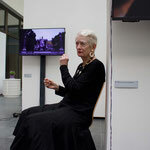 In practice Mieke Bal works very thoroughly. Each image seems carefully planned, mixing historical details, Descartes’ white gloves in Reasonable Doubt for example, with imagined arrangements and encounters, like the philosopher’s session with a psychoanalyst. Even though historically inaccurate, it paints a more complete picture and offers a personal interpretation of the past – theoretical fiction at work. 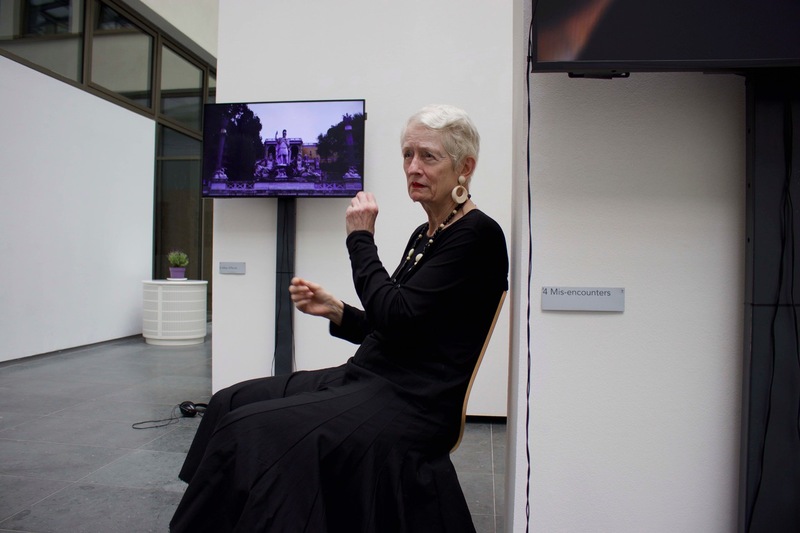 A lot can be seen and interpreted into the still-like arrangements within Mieke Bal’s videos. 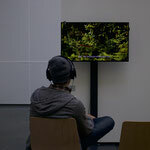 According to her, one of the biggest advantages of multi-channel video installations like Reasonable Doubt is the audience’s freedom of moving around between installations, in contrast to the quasi inevitable immersiveness of cinema. 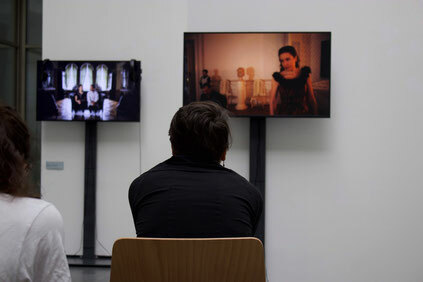 The viewer decides individually on the order and duration of his or her personal experience with the exhibited videos and film. While pointing out the advantages of video art for academic theory, Bal seems to have internalized at least one basic rule of fictional cinema (and fictional writing): Show, don’t tell! Hidden symbols, gestures, gazes and symmetries make Bal’s videos a never-ending spring of visual metaphors. They can and should not be grasped at once and by all in the same way. 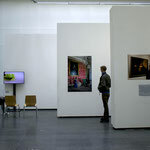 Each person will have different associations with Bal’s images, even though the medium leaves the artist with stylistic tools to direct the viewers’ attention to certain aspects. 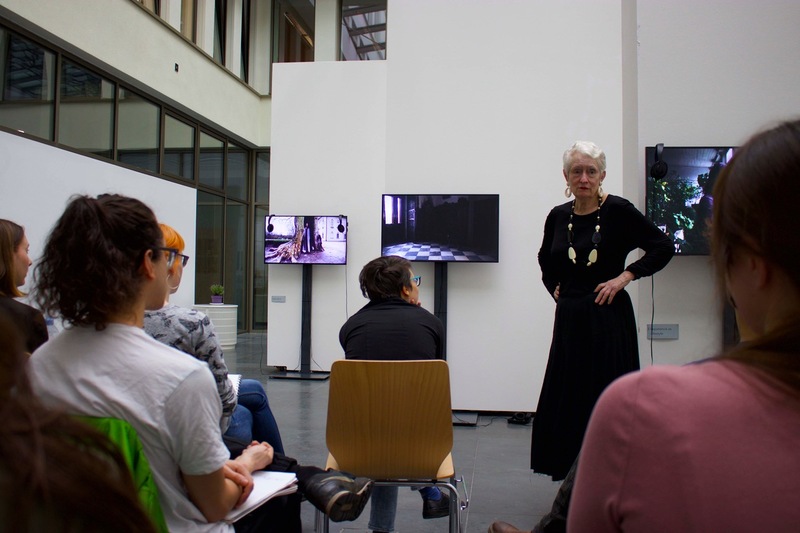 Mieke Bal’s work in the area of video and film art are a great example on how practice enriches academic thinking, frees spirits and may help to make academic discourses more appealing to a broader public interest. This should be an appeal to younger and older academics to loose their fear, burst their bubbles and start something. 1 An exceptional example for academic filmmaking is the work of Hito Steyerl. 2 See Bal’s concept of anachronism in Mieke Bal, Lexikon der Kulturanalyse, Vienna 2016, Translated into German by Brita Pohl, pp. 11-17. Opposing the general rejection of anachronism as a simplifying concept towards history, Bal proposes a productive, innovative and reflective anachronism when dealing with the past.